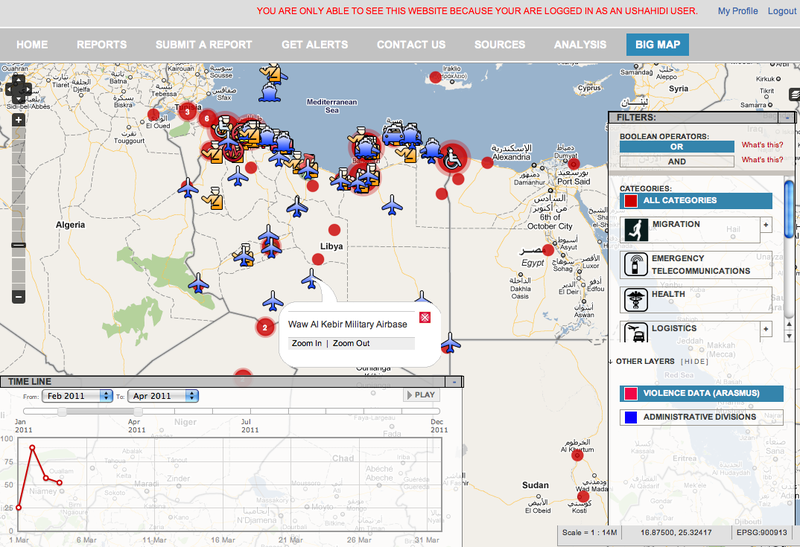 We activated the Standby Volunteer Task Force (SBTF) on March 1st and quickly launched a Crisis Map of Libya to support humanitarian preparedness opera-tions. 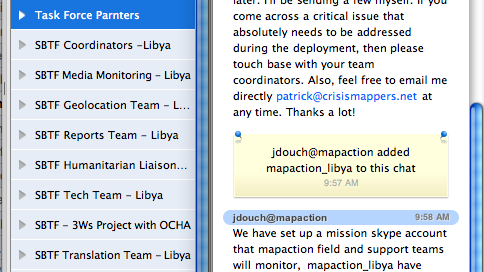 This is the largest deployment of the Task Force since it was formed at the 2010 International Conference on Crisis Mapping in Boston (ICCM 2010). 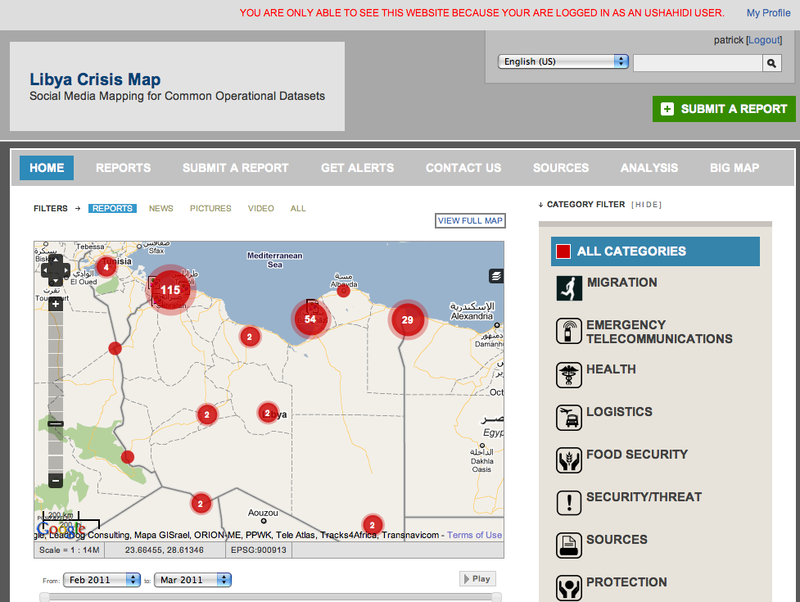 Task Force partners include CrisisMappers, CrisisCommons, Humanity Road, ICT4Peace, Open Street Map and MapAction. The Task Force currently has trained 166 volunteers. I’m amazed at how far we’ve come since the response to the Haiti earthquake. 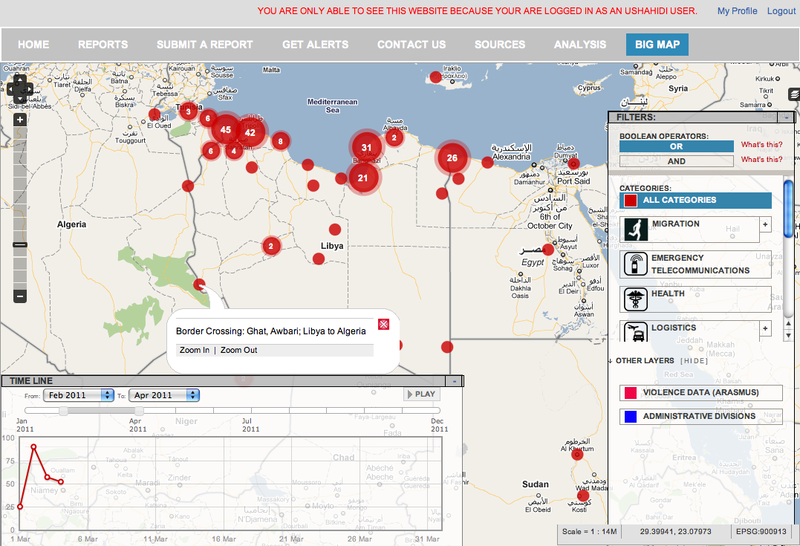 This entry was posted in Crisis Mapping, Early Warning, Humanitarian Technologies, Social Media and tagged crisis, Humanitarian, Libya, Map, Tripoli. Bookmark the permalink.